Deaconess Heidi D. Sias serves on the staff of Lutheran Friends of the Deaf, a part of Mill Neck Family of Organizations in Mill Neck, NY. She is currently writing an American Sign Language (ASL) translation liturgy gloss in consultation with a Deaf Lutheran translation team in Michigan. The gloss will contain all of the services from the Lutheran Service Book. Deaconess Sias also teaches church interpreting at regional workshops for Mill Neck, and represents Mill Neck at congregations, conferences and conventions to inform others about Deaf ministry. 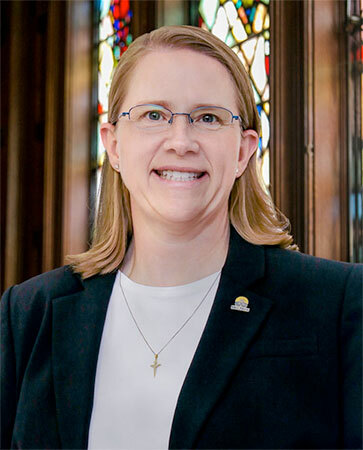 She has a Bachelor of Arts in Education from Roosevelt University, Chicago, Ill., and a Master of Arts in Religion from Concordia Theological Seminary, Fort Wayne, Ind. She received her deaconess certification at Concordia University Chicago, River Forest, Ill. Heidi was first introduced to ASL in a class at Harper Community College in Palatine, Ill. She subsequently attended the Church Interpreter Training Institute (CITI), served many years as a CITI staff member, including organizing and teaching, and now serves as a CITI co-director with Pastor Thomas Dunseth. Deaconess Sias lives in Missouri with her husband, the Rev. Dr. John Sias, who serves as the Secretary of The Lutheran Church—Missouri Synod.